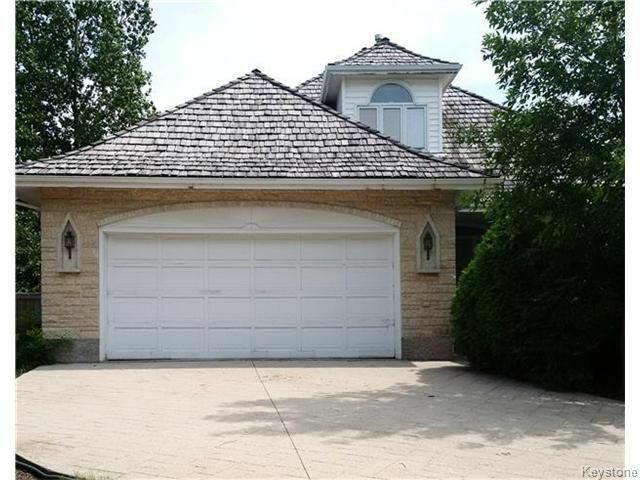 Former show home with gorgeous curb appeal and cedar roof...fantastic layout with the master bedroom, walk-in closet, and huge master bath being the entirety of the second floor. 3 bed, 2 full bath, full basement, enormous eat-in kitchen with sunroom, gas fireplace, main floor laundry, oak hardwoods, 4p main floor bath, double garage, large green lot with mature trees and a private back yard, big picture windows with lots of natural light, open concept mainfloor. A lovely home! Lindenwoods specialist Realtor Real estate agent in Winnipeg.